Kindergarten Kel: back with my st. patty's unit GIVE AWAY! back with my st. patty's unit GIVE AWAY! It feels good to be back! I had to take a mini-hiatus from blogging last week because, well, life just got in the way a bit! My running schedule, some car trouble, wedding planning, and volunteering at my school's community dinner all contributed to my lack of blogging time. This collage doesn't show everything that's included, but is a good sampling. 1. 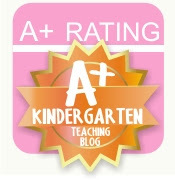 Follow me on TpT and leave me a comment (with your email) saying you did so. 2. Follow my blog and leave me comment (with your email) telling me you did so. You can still leave me a comment if you already do follow me! 3. Blog about my giveaway on your blog and leave me a comment (with your email) about it. And YES, you get to leave a separate comment for each thing that you do. Every comment is a separate chance to win! Just please, please leave a valid email address for every entry. This has been an issue for me in the past. The giveaway will end at 11:59pm on Friday, March 2nd. Winners will be notified by Sunday, March 4th via e-mail. This giveaway doesn't last long so start commenting and please spread the word!!! I follow you.. of course! I am currently student teaching in a Transitional Kindergarten/Kindergarten combo class and I love getting ideas to take to my master teacher from your site! Thank you for sharing!! I am following you on TpT too! I downloaded your Magic E Packet, and I love it! I can't wait to use this during guided reading! 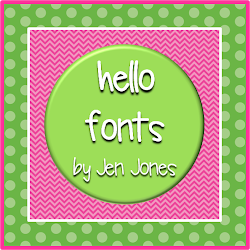 St. Patty's Freebie and Blog Feature! Help with human body unit! TPT Store Up and Running!!!!! Reading Centers and 1 Freebie!